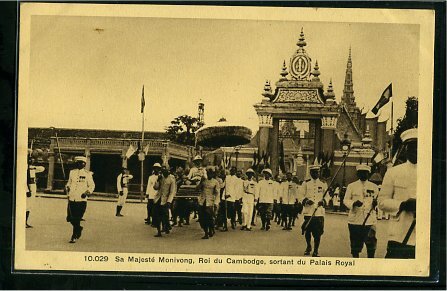 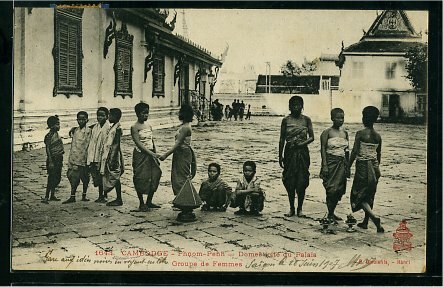 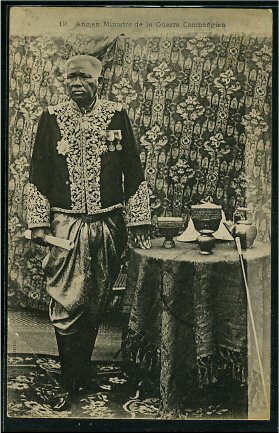 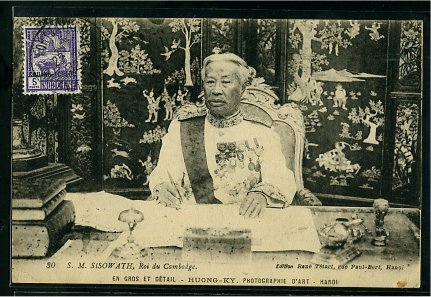 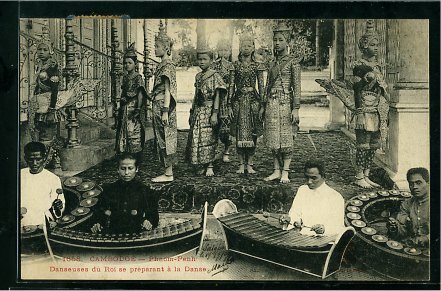 Phnom Penh – Group of women, servants of the Royal Palace. 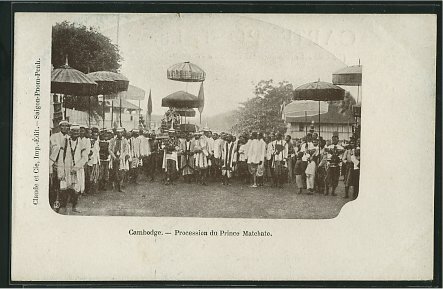 Procession of Crown Prince Matchato. 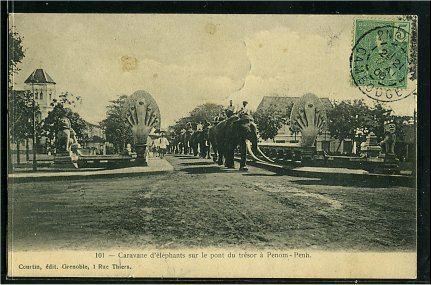 Phnom Penh- Elephants caravan on the treasure bridge. 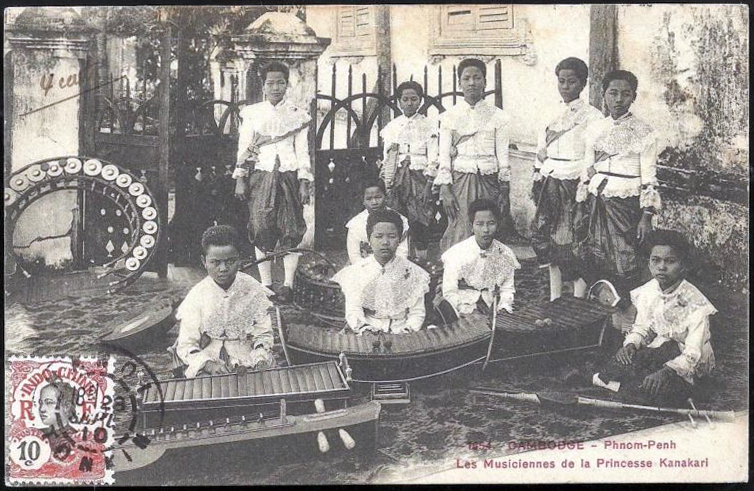 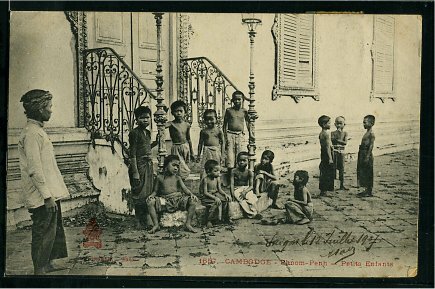 Phnom Penh – Young children.